The Predator is a very common internal voice that means us no good. Sound familiar? It wants us to fail, setting impossibly high standards and then shaming us for not attaining them. Indeed, its message is that we never deserved peace, love, health or fulfillment, that the world is not interested in any gifts we might offer to it. In theological terms, it is pure evil. In fairy tales we have historically imagined it as the giant or the witch. In mythological terms, the Greeks saw the Predator as Chronos, the father-god who eats his children. The Hebrews, with more ambivalence, imagined it in Father Abraham, who so needed the approval of Jehovah that he was willing to sacrifice his son Isaac. The biological image of leopards crouching in the African darkness waiting to leap up and grab young or sickly animals from the periphery of their community moves this idea of the Predator into a conversation about American mythology. 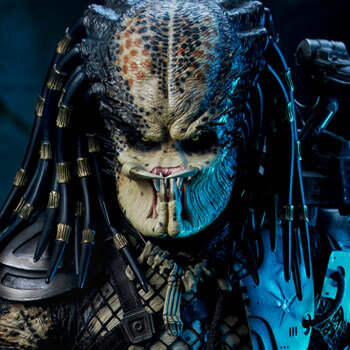 Is the Predator a universal archetype? I can’t say, but it has certainly found a home in the American psyche, formed as it was within a Puritan theology and a resultant mythology that places all praise for success – and, most critically, all blame for failure – on the individual. Chapters Seven and Nine of my book (Madness at the Gates of the City: The Myth of American Innocence) investigate the American faith in radical individualism that has led to our culture of freedom, self-expression, privilege and achievement, but also to our dreadful sense of alienation and our unique disdain for the natural world. Sadly, the creative imagination has long been almost entirely lost. With the rise of patriarchy it polarized into the paranoid imagination and the predatory imagination. The first is based on irrational fear, the second on an insatiable drive for control. Both express a narcissism that objectifies and negates other perspectives. They limit our perceptions and choices, and powerful elites use them to manipulate us. The children of these Northern religious extremists amassed the first great mercantile fortunes. Southerners, however, had more worldly motivations. Their first History of Virginia boasted, “The chief design of all parties concerned was to fetch away the Treasure from thence, aiming more at sudden gain than to form any regular colony.” Aristocrats like Sir Walter Raleigh were not interested in the City on a Hill but in the golden El Dorado that Spaniards had been chasing for decades. “In that sense,” writes Michael Ventura, “America had Las Vegas a century before it had Plymouth Rock.” Our history has been caught between the paranoid nightmares of the Puritans and the greedy, predatory fantasies of these opportunists ever since. Opportunists demonize government regulation, while Puritans emphasize individual spiritual (and financial) responsibility. Obsession with self-improvement and personal achievement keeps them both ignorant of the suffering around them. Wealth remains proof of grace – and poverty indicates the opposite – even if the religious terminology has fallen away. To be an American is to feel the promise as a birthright, and to feel alone and haunted when the promise fails. No failure in America, whether of love or money, is ever simple; it is always a kind of betrayal. Americans, like no people before them, strive for self-improvement. But within the word “improve” lies the anxiety of those who can never know if they’ve attained the otherworldly goal. Thus we must continually “prove” our status in this one. 1 – You are an individual, existing independently of others, and as such you have been invited to attain the American Dream. 2 – If you succeed, it is because you have the natural capacity to work hard, delay gratification and control your impulses, especially if you are white. 3 – If you fail or are unhappy, it is because you didn’t try hard enough, especially if you are a person of color or a white person who was born in poverty. 4 – If you didn’t try hard enough, it is because you don’t have what it takes to succeed. 5 – Therefore, you are a failure, regardless of your social or ethnic origins, and all failures in America are moral failures. 6 – A sinner, blaming yourself for your innate inability, you are depressed or angry. 7 – Since depression, anger turned inward at yourself, can only end in suicide, you must look elsewhere. 8 – You cannot express anger at “the system,” because the system, like God himself, is perfect and does not hold you back; indeed, since others have obviously succeeded within this system, you must focus your anger on others. 9 – Therefore, you are privileged to direct your anger at those individuals or groups whom the system has identified as “the Other,” those whom it has labeled as evil, those upon whom it has given you permission to release that anger, because you are a victim of such people. You have successfully released the Predator from your psyche and projected it upon them. You are now innocent of sin. 10 – You have been reborn. Since you naturally want to lift others out of the state of sin, you are more than willing to support con men who promise to lead periodic, international crusades to wipe the world free of those sinners who would question that American Dream. 11 – If you are a white male, you are particularly privileged to do so, and the system will support you economically and politically. In the past thirty years predatory capitalism has tightened its grip on both the economy and popular culture. Consider the popularity of films like Wall Street and, appropriately enough, The Wolf of Wall Street, where we can’t really tell if the main characters are heroes or villains, whether we hate them or want to be them. But for generations before, away from the financial districts of the mind, we have thrilled to hundreds of gangster films, perhaps because (in the best of them) the same ambivalence exists, and perhaps because it reflects the conflict between the paranoid and predatory imaginations that form the substrate of our American character. In those same thirty years, two generations of men have begun to consider – and grieve – having been reared by Chronos-like fathers. So perhaps it is no coincidence that we have apparently been obsessed with actual film Predators: Predator (1987), Predator 2 (1990), Predators (2010), The Predator (2018), Alien vs. Predator (2004) and Aliens vs. Predator: Requiem (2007). One of psychologist James Hillman’s most provocative insights was that the first assumption of the “therapeutic culture” is that emotional maturity entails a progressive differentiation of self from others, especially family. Most psychology is “Ego Psychology” – we grow and “individuate” by separating ourselves from others, very often from the physical places and people where we were born. In this way of thinking, family and community, as much as we desire their benefits, represent all that we must leave in order to become who we truly are meant to be. Indigenous people would see that statement as a fundamental lie. Mythologists might say that Chronos eating his children symbolizes the authoritarian parent eating his children’s individuality, and replacing it, ironically, with a literalistic sense of individualism. So Hillman taught that American psychology mirrors its economics: the heroic, isolated ego in a hostile world. In this libertarian and narcissistic vision, others – all others – exist for the sole purpose of either fulfilling our needs or sabotaging them. What about growth? The only place in nature where unlimited growth occurs is in the cancer cell. Oddly enough, the idea of “culling us from the herd” takes us out of this brutal, apocalyptic, American “Survivor” mode and reminds us that throughout the ancient, tribal and indigenous worlds – everywhere, indeed, except for our post-modern culture – people universally assumed that we are, by nature, social animals. For thousands of years, we have known who we are, and the wounds to our souls have been healed only in community, only in the context of our relationships with each other, with the natural world that surrounds us, and with the still wider world of ancestors and spirits.